Summary (from the inside flap of the book): Malcolm wants to get into the NBA ASAP. Roko wants to be the pride of his native Croatia. Crispin wants the girl of his dreams. MJ just wants a chance. They have one thing in common: the will to win. Four guys meet on the court in a key game in the Final Four, college basketball's answer to the NBA play-offs. As the last heart-stopping moments tick down on the game clock, you'll learn how each of these players grew from a kid who loved to shoot hoops into a vital part of the most important games of the year. Which team will leave the Superdome victorious: the heavily favored Michigan State Spartans, or the underdog Trojans from Troy University? In the end it will come down to which players have the most skill, the most drive and the most heart. Review: I have enjoyed all of the books by Paul Volponi that I have read so far and his new one is no exception. He has a knack for capturing the moment, the emotion, the reality of whatever subject he takes on and this book is no exception. 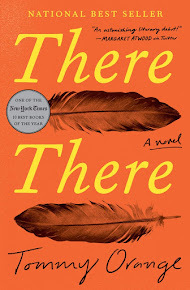 While I really enjoy sports fiction, there was a little bit too much play-by-play for me in this book. However, that means that certain readers will love it. If you enjoy basketball, definitely read this book. 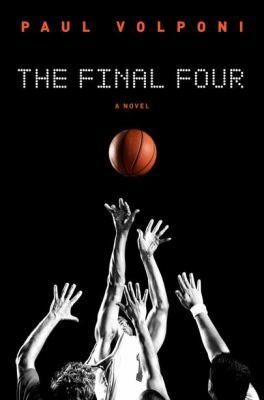 Each chapter focuses on one of the four main characters in the final minutes of overtime in a semi-final game of the college final four. While we get basketball details through the announcers' play-by-play and narrative, this book is true Volponi so there is much more than just sports at play. We learn the background for each character, who he is, where he comes from, his personal struggles (from drive by shootings to immigration). To me, this is what makes a Paul Volponi book so good. He makes the reader care about each character, even when we don't like them. They have human faults, caring families, tough backgrounds, great friendships, and troubles ranging from poverty to cheating to anger issues.